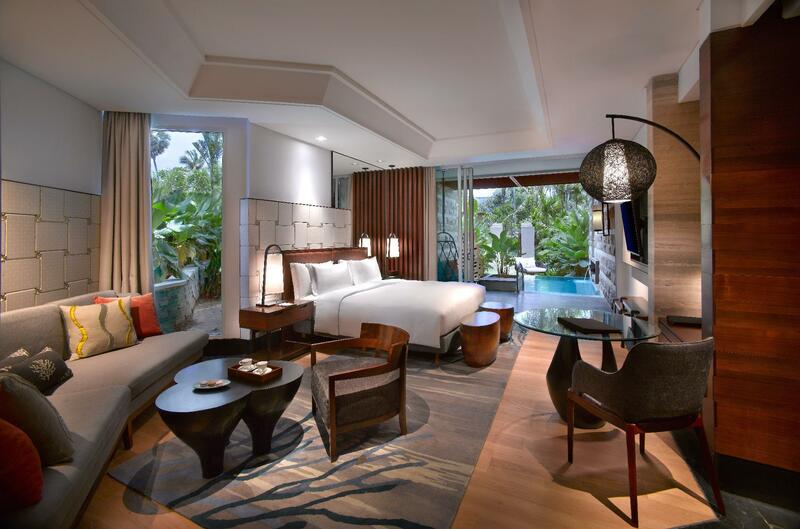 Heeft u een vraag voor Sofitel Bali Nusa Dua Beach Resort? Ontworpen voor zowel zakelijke reizigers als toeristen, is Sofitel Bali Nusa Dua Beach Resort ideaal gelegen in Nusa Dua; één van de meest populaire buurten van de stad. Slechts 10.8 km verwijderd van het stadscentrum, is dit een goede plek voor gasten om te genieten van de attracties en activiteiten in de stad. 'Sightseeing' opties en lokale attracties hoeft men niet ver te zoeken, aangezien de accommodatie in de buurt van Nusa Dua strand, Museum Pasifika, Bali Conventie Center ligt. Accor Hotels staat bekend om de hoge kwaliteit in services en haar vriendelijke personeel, en Sofitel Bali Nusa Dua Beach Resort maakt deze reputatie waar. De topvoorzieningen van de accommodatie zijn inclusief 24-uur roomservice, gratis wi-fi in alle kamers, dagelijkse schoonmaak, cadeau-/souvenirwinkel, 24-uur beveiliging. Alle accommodaties zijn zorgvuldig ingericht om het hoogste niveau van comfort te bieden. In enkele gastenkamers zijn plasma tv, vloerbedekking, locker, spiegel, privé ingang aanwezig. Of u nu van fitness houdt, of gewoon lekker wilt ontspannen na een drukke dag, het kan allemaal dankzij recreatieve voorzieningen zoals privéstrand, fitnesscentrum, sauna, golfbaan (binnen 3 km) , zwembad (buiten). 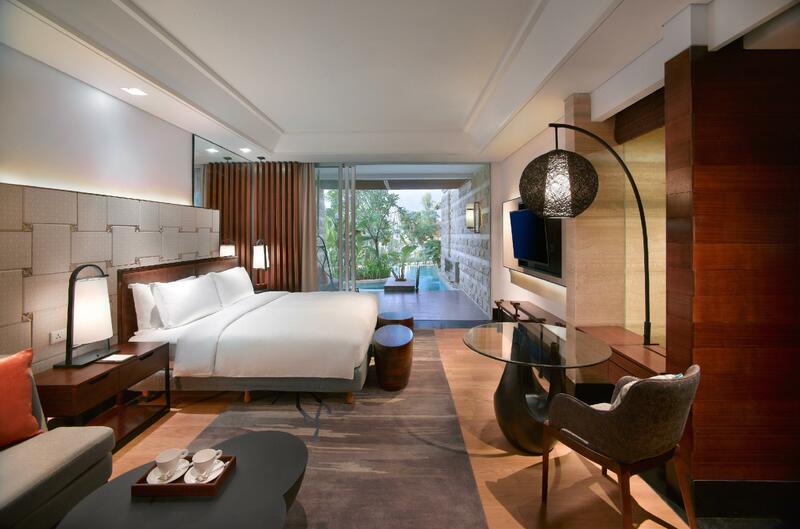 Geniet van een geweldige locatie en ongeëvenaarde services in Sofitel Bali Nusa Dua Beach Resort. From the moment we got there, it just seemed all off. The staff was super nice and courteous but the layout of the room, the layout of the main restaurant’s buffet setup and other small details were so inconvenient and wrong. We actually had to change rooms because our bathroom smelled like raw sewage after we came back from dinner. Staff was nice in helping us move rooms as it was 9:30pm. 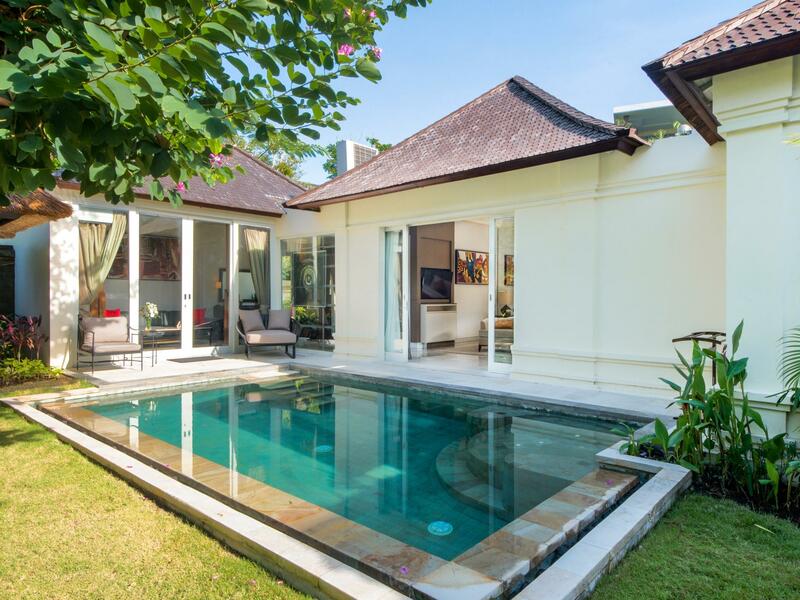 If you have kids and is going to Bali then Nusa Dua is for you. For those that don't know, Nusa Dua is a gated community of resort/hotels so the security is a bit higher than other hotels. Sofitel is the first hotel by the main entrance of Nusa Dua so it is a bit of a walk to other hotels along the beach and a from the shops area. They have a shuttle, but if you are in Bali, you don't have to be anywhere quick. Grade A amenities and service, the spa is excellent. Beautiful Hotel. Nice room interior arrangement, very relaxing and with a comfy good sleeping king bed. Fabulous pool/beautiful calm white-sand private beach. Yet the buffet dinner was a little disappointing, although many selection from various food stations but maybe which weren't just tasty and fresh to us, and even without beverage supply. Other than that, it's a great hotel to enjoy with family. Great location a short taxi drive (roughly 2.5usd) to bali collection, which is a shopping area with mini marts, a supermarket and a bunch of restaurants . Limited choice of food for the dine inn restaurants however room service has a better choice..it has a beachclub attached to the resort which is a chill hang spot and the food is great aswell. The only annoying part was checkin ..check in tine was 3 i reached at 1:30 and was told i cudnt get my room till 3 but i had to wait a bit longer than 3:30 but its something i can ignore for all the pleasantness . Great pool and lots of activities to do. We booked three rooms which are amazing but one of the rooms kept being served with moldy towels and even my friend found moldy towel in the gym room. Otherwise it would have been a perfect perfect stay. I feel the staff have no diciplinary of the service they can offer. They look unproffesional. I see some china guest being ignored in the hallway. Some of the staffs looks like robots. They worked too stiff without offering best service. The lobby of this hotel is unpleasant. Too many unusefull staff at the corridor of the lobby doing nothing. So useless. Swimming pool a bit dirty. Room is ok. The layout is not so good. I can feel the aircon while iam bathing. I think management could do better to improve their staffs and their services for this hotel. This hotel was not up to my expectation. The room that I had was a premier suite but I could stay at somethere else with better value. Unless you stay at their regular room the suite is not worth it in my opinion. The room is not clean enough especially the bathroom, most likely because the room is too dark which makes cleaning up difficult for the staff. Another minus is their beach. It was messy in my opinion, felt like everything is compressed together. I could even see some outsiders selling accessories and handicrafts on the beach floor and the security did not seem to care much. Anyway the staff and service is quite good though at the reception and executive lounge. Stayed here in 2015 and was pretty satisfied. Came back in Dec 2018 and property is very run down compared to my last visit. Bathroom was dirty on the edges, marks on floors, floor colour changed near the tub, many pool tiles were sharp, there was a strong smell in pool area under the bridges. Guest bathroom on the pool area need a major renovation, was poorly maintained. Linens were OK. Check in time was delayed as the previous occupant was still in room, only managed to get our keys at 16.30 PM. Pretty much wasted the first day. Overall experience was so so, but would try other hotels instead next time. The check in was a bit slow and we had to change our room because of the smell of paint in the room, which evaporated on the second day. We were given a different room for the first night. The rooms are comfortable. We stayed in a twin room overlooking the pool. Great views. Excellent bathroom and shower facilities. We missed some cleaning service as we were lounging in the room. But cleaning service is very good. The restaurants are pricey, coffee in the room is not free. The hotel has excellent access to the beach. The pools are very good and the beach club has lots to offer - pool, bar, DJ, excellent restaurant. Thank you for the warm welcome and greetings on our wedding anniversary day. The place and room are spacious, well organized and clean. Staff are attentive and very acommodating. We hope to come back soon. Always loving the big pool and private beach. Food is expensive, but the good thing is you can always bring food from the outside. Room is nice, big & modern, but the biggest problem is water pressure that causing inconsistent water temperature (shower water can be very hot & then cold). The staff at the pool side bar were very slow and one in particular was quite arrogant and rude to me. I must have waited almost 15 minutes standing at the bar waiting to order a drink. The staff completely ignored me and at one stage, bar man said he was too busy and I need to wait. Otherwise all other staff were exceptionally nice and helpful. The hotel contacted me couple days before our stay to offer if we need extra bed for our kids. It is a complimentary bed and they made sure the bed and the room is ready before our arrival. Kids club is also very clean and there are many activities that made our kids love to stay there. Room is overall very nice except that we notice some dust underneath the bed. Overall is a very nice hotel. Loving the room, the service, the staff and the reasonable prices for the drinks. Gym too small for this property, 5 ppl in it already crowded. Breakfast need variety/changes every 3 days maybe so when guests stay more than a week, won’t feel bored. I love the idea that for those who already checked out and waiting for you evening flight, there's a dedicated room where you could rest and take a shower. AMAZING. I am just a little bit disappointed with the toiletries, being a French brand, the choice of products are a little substandard. First time to stay in Sofitel, and I am surely doing it again!! !